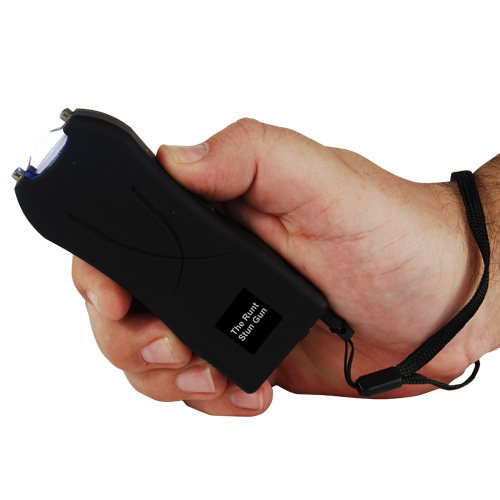 The Runt Rechargeable 20,000,000 volt Stun Gun will fire 300-500 times on a full charge. Available in Black, Red, Purple, Pink, Green and Blue. The wrist strap disable pin must be inserted in order for the stun to work. This prevents the stun gun from being used on yourself if it is taken away from you and you have the wrist strap around your wrist. The leather holster for the Runt Stun Gun can be purchased here.